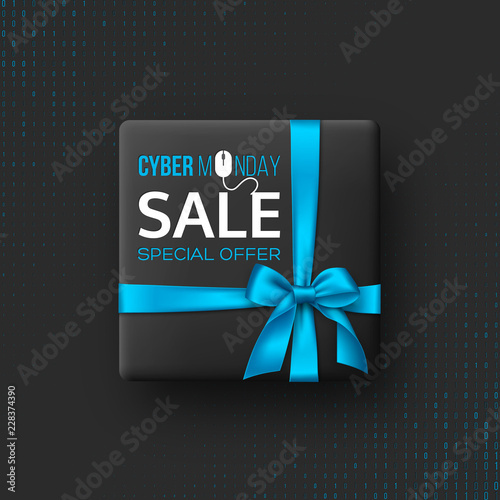 Cyber monday sale poster or banner for seasonal discounts. Black box with realistic silk blue bow on code background. Sale concept. Vector illustration.